Panasonic's new server, WV-ASF900, offers the possibility to run facial recognition in an IP Security System. Due to the implemented Panasonic technology in both the cameras and server, it is possible to have accurate information on who is accessing your dependencies. 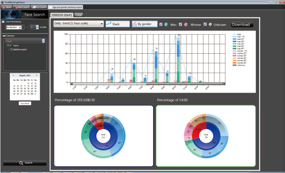 In addition, you can receive information for marketing analysis such as people counting, age information and gender evaluation. The WV-ASF900 is suitable for any new installation that requires a high level of security or where accurate information of who is accessing the building is necessary. You can receive the information from several cameras, from different sites at the same time and collect all the information in real time. The WV-ASF900 server can be implemented in any current Panasonic IP installation to enhance any former installations. 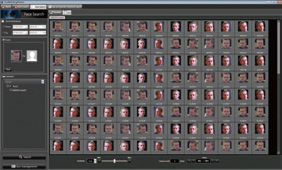 The resources for face matching are split between the camera and the server which means the server can work with up to 20 cameras at the same time. Face matching is done in real time and the operator can easily access the recorded images that are related to that face by using the GUI integrated in the current Panasonic monitoring software - WV-ASM200 and WV-ASM970 in combination with WV-ASE231. In addition, the server acts as a powerful marketing tool with people counting and age and gender recognition capabilities. This is done with a high level of accuracy using a combination of the best shots taken from the Panasonic cameras and the face technology in the server site. Up to 5 million faces can be registered and it is possible to search 5 million faces in 3 seconds. Once matched with registered people, an alarm is sent in real-time, showing display of alarm history. When it is matched with registered people, alarm of face matching is output in real-time, and display an alarm history in the list. Panasonic’s facial recognition software has been developed for use in a variety of areas. This versatile and intelligent solution offers a variety of functions to suit your business needs. The software is run simultaneously within certain security cameras (see our Facial recognition page for the list, link below!) and independently, thus ensuring the accuracy of facial recognition within your security camera system.A common application for a facial recognition solution such as the WV-ASF900 would be within a security system. The software could be used to identify intruders in a certain area, or to simply track the movements of specific people within the scope of an integrated security system. However, this solution can also be utilised to good effect within a sales and marketing environment. 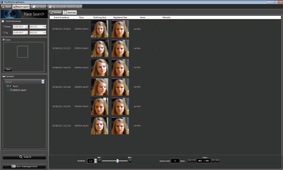 For example, this software could be used within a security camera system installed in a retail environment. The facial recognition software could determine the average age, gender and general number of people that enter into the store; arguably invaluable information for marketing purposes. To use with i-PRO Extreme series camerasASF900 Configuration Tool must be newer version instead of installed with WV-ASF900 version 4.07;Otherwise, unable to configure i-PRO Extreme series cameras.The WV-ASF900 version 4.10 contains "ASF900ConfigTool_40018.zip". So, the version 4.10 users do not need to download it. At 1 second in 1,000 registered faces *From receiving the face thumbnail to matching in face matching server. Up to 1,000 face *Matching accuracy depends on a number of registered person, quality of the face image and environments. 10 cameras is suitable, up to 20 cameras per 1 face matching server. *Deploying plural face servers in a system is acceptable.